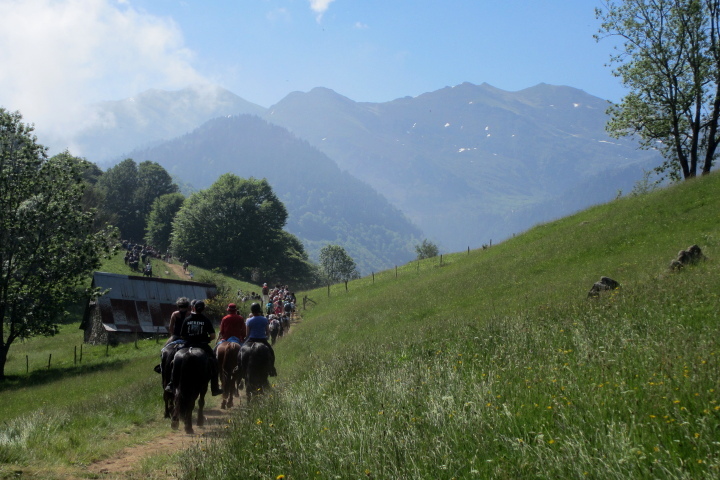 By taking part in this horse trekking experience you will be participating in the most important pastoral event on the Pyrenees calendar, the Transhumance. 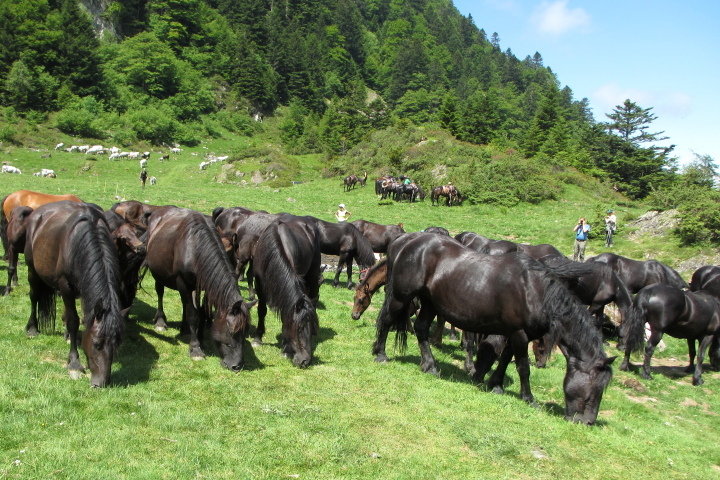 After spending the winter in the valleys, the sure footed and good natured Merens horses, native to the Ariege Pyrenees, are taken back up to the high mountain pastures (known as estives) where they will feast on the fresh new grass. 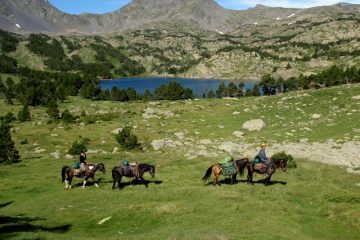 Over the course of this five day horse trekking adventure you will accompany the herd on their relocation up to the mountain estives. This is a total immersive equestrian experience. 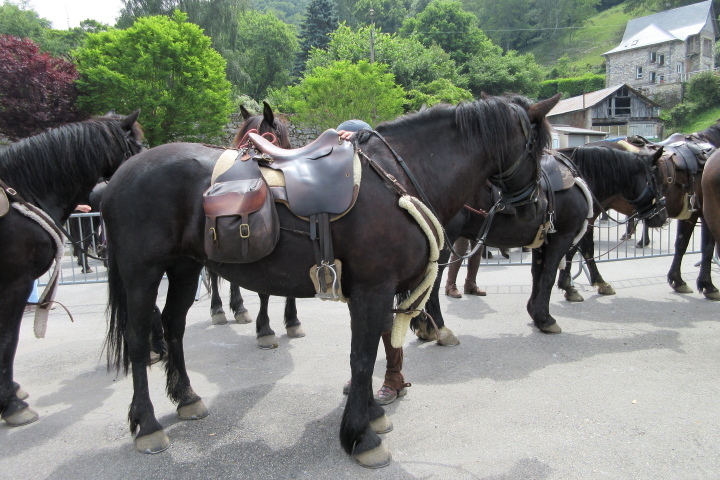 You’ll take care of your mount’s needs during the day and will ride with the herd as they make their way from town to valley and on up to the mountain pastures. 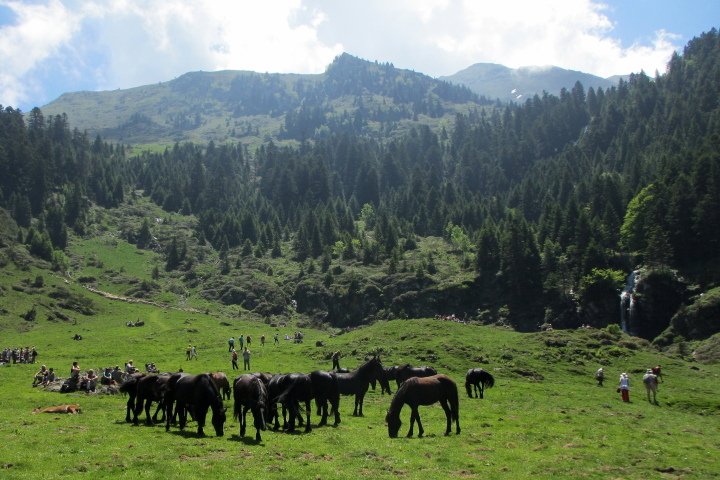 The highpoint of the trek is the picturesque Cirque de Campuls where the mares and their foals can finally relax after their long journey and enjoy the lush pastures. 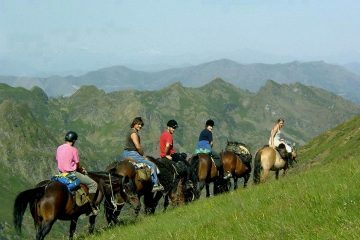 A party atmosphere awaits you there as you join not only horse but also sheep and cattle breeders and hikers who have accompanied them on their relocation. 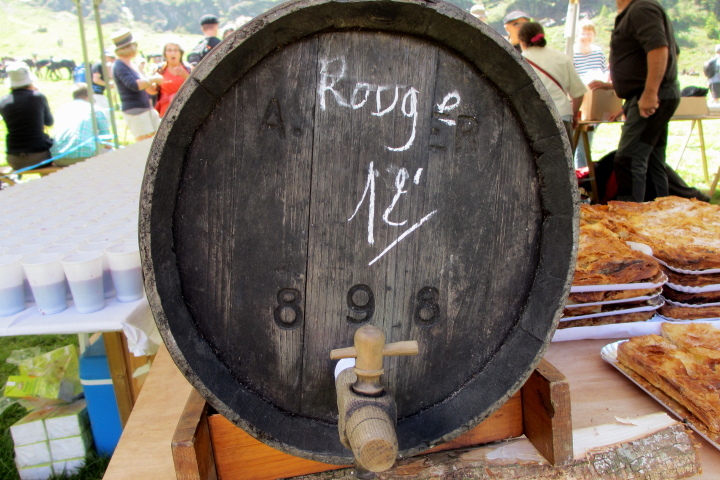 Recharge your batteries with a 3 course dinner of local produce and regional specialities, all washed down with red wine from the south west. 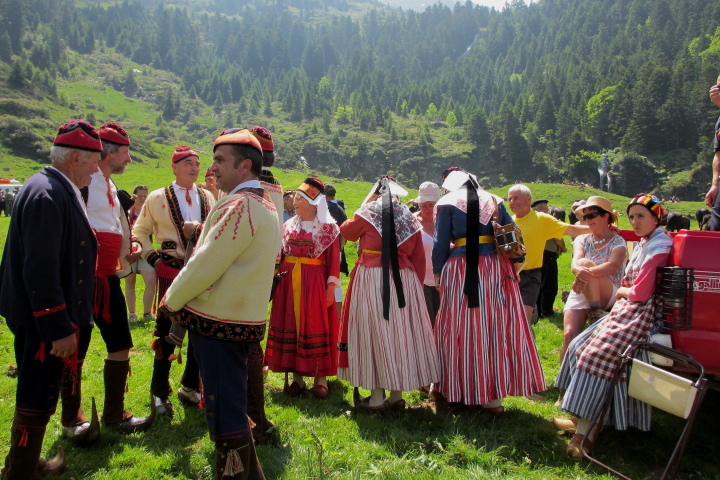 Entertainment is provided by local traditional musicians, singers and dancers who are a colourful sight in their handmade outfits. 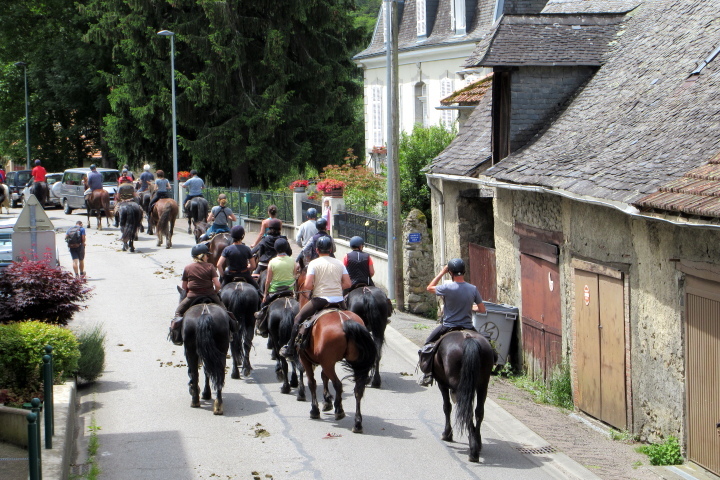 There will be two more days of riding ahead of you as make your way back to the stables in the Massat valley. 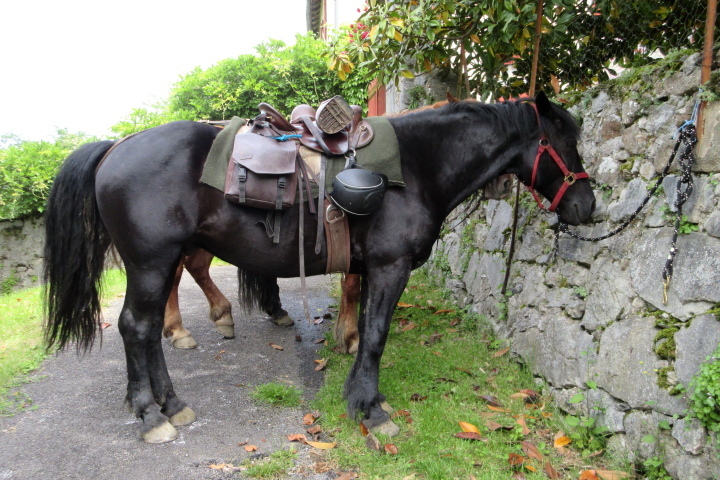 You’ll no doubt be sad to say goodbye to your trusty steed who will have served you well on this horse trekking experience. 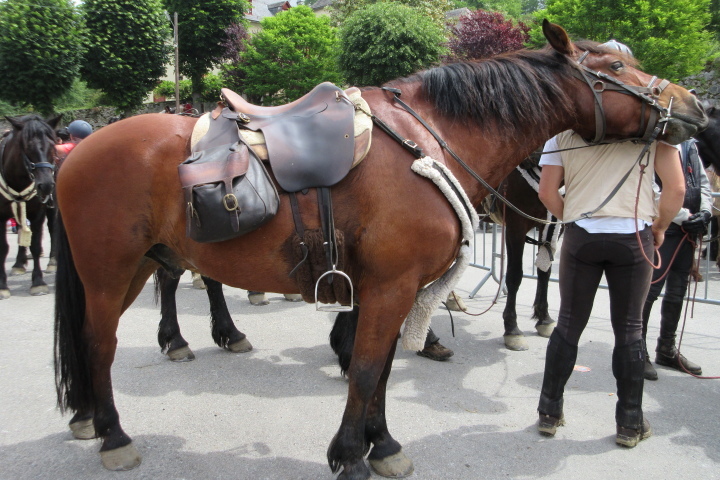 Your first night will be spent at the gite up at 900m alt where Govan breeds his horses. 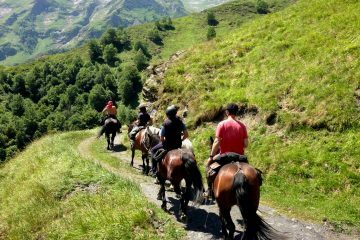 This horse trekking holiday starts as it means to go on with a complete immersion into the world of the Merens horse. 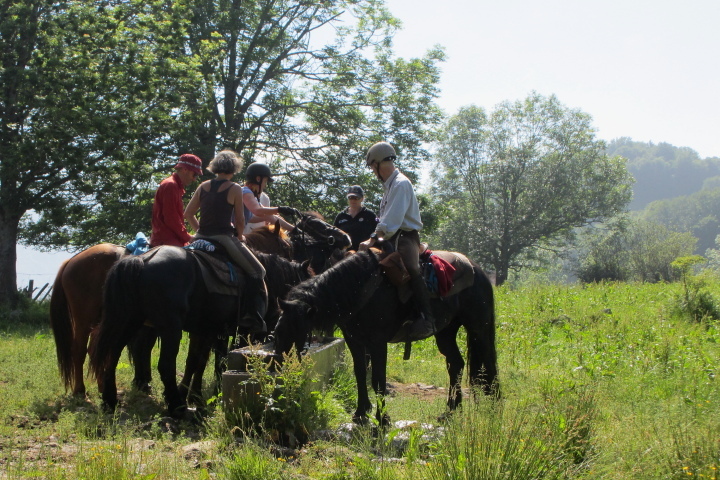 You will all get together in the evening and your guide will explain the plan for the week. 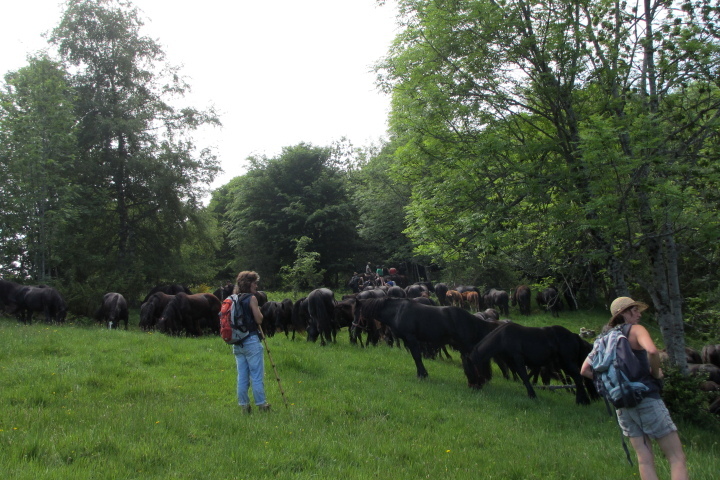 After a hearty dinner you will head to bed for a good night’s sleep ready for your Transhumance experience. 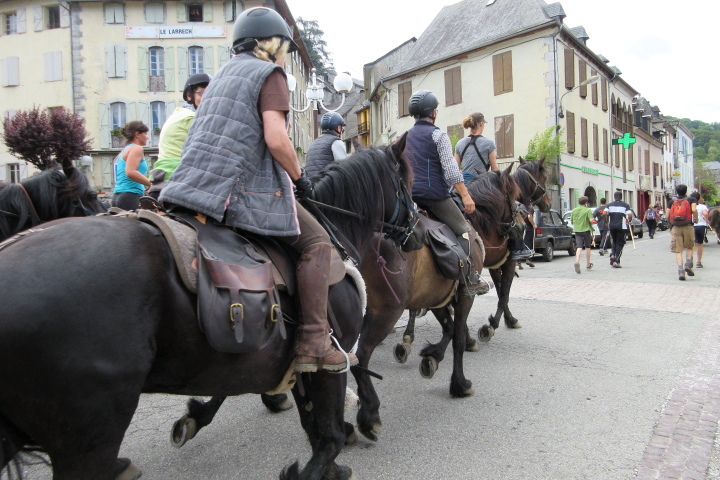 From the farm you’ll ride up to the Col de la Crouzette and then on to the Col de Rille on lanes and paths that the horses have been using since forever. 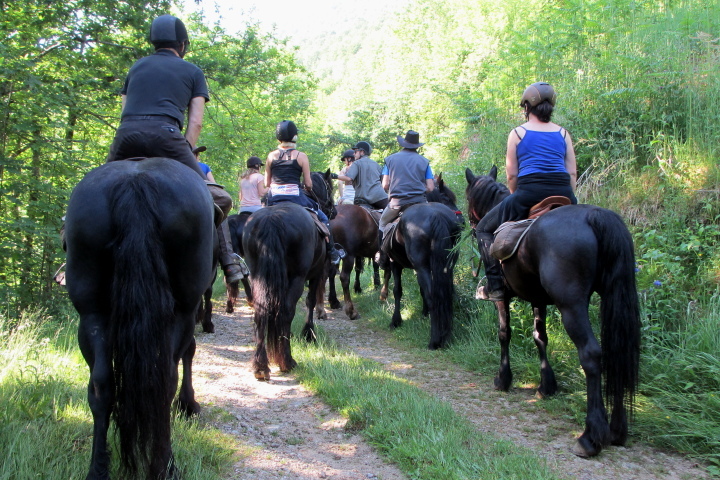 You’ll follow the ridgeline to the end of the valley from where old paths and tracks will take you to the UNESCO registered fortified village of Saint Lizier. 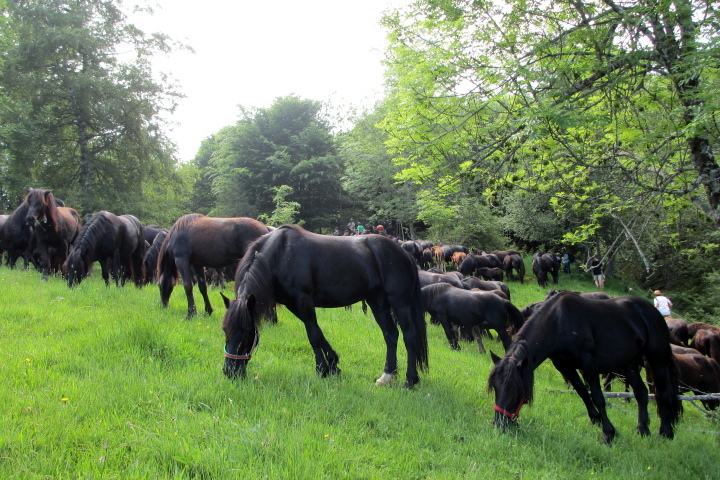 The herd of mares and their foals will already be there, being prepared for the next day’s departure. 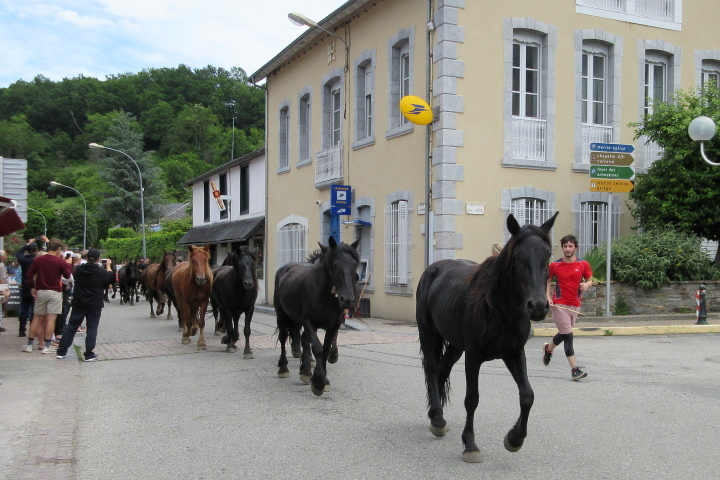 After taking care of your mount you will be transferred to your accommodation for the next 4 nights, a gite in Castillon, where you’ll help prepare dinner and sleep in a room with up to 3 other people. You’ll be up early this morning, ready for an 07h00 departure on closed roads. 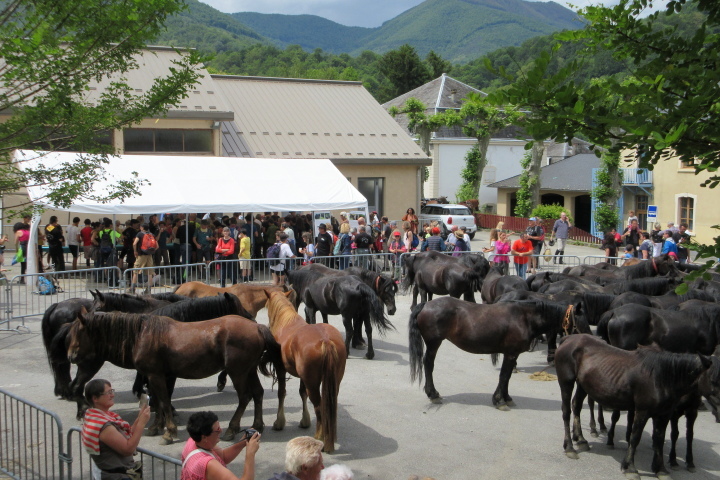 Riders and hikers will accompany the mares and their foals through Saint Girons and on up the valley towards Bethmale. 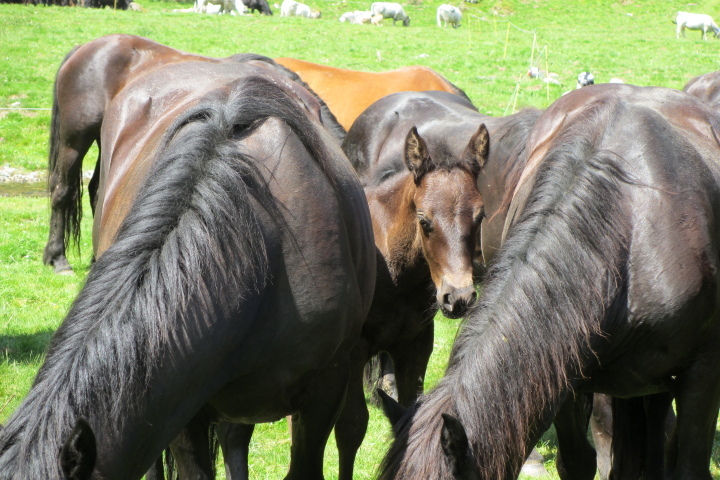 There will be frequent refreshment stops en route to give the foals (and you!) a rest. You’re sure to enjoy the amazing atmosphere in the villages along the way. You’ll enjoy a fabulous lunch in one of the villages before pushing on to the next overnight spot for the herd up the beautiful Bethmale valley. 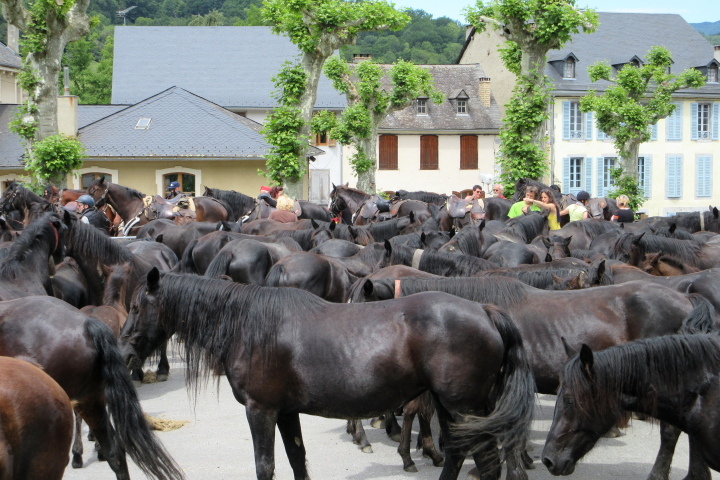 At the end of the day you’ll be transferred back to your gite in Castillon. 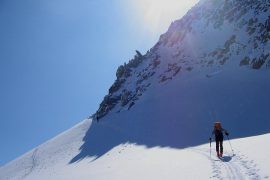 Today is the final push up into the mountains. Your destination is the oh so pretty Cirque de Campuls which you’ll reach via forest tracks and open green pastures. At your destination you can expect a party atmosphere with a 3 course meal of traditional fayre accompanied by local wine of course. 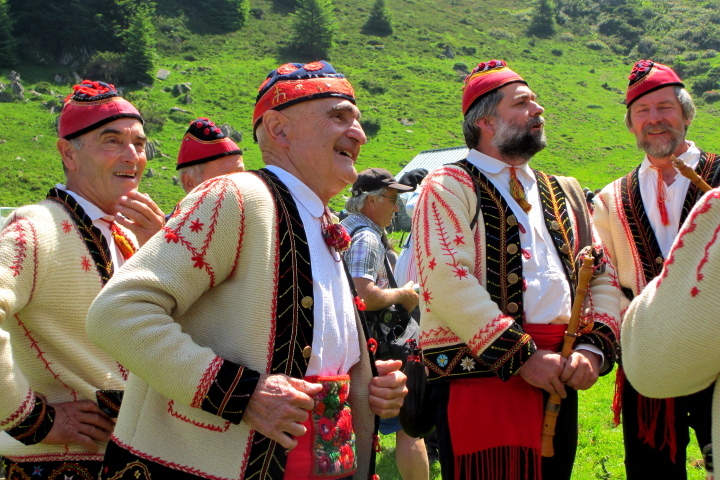 Entertainment is provided by traditional musicians, singers and dancers. 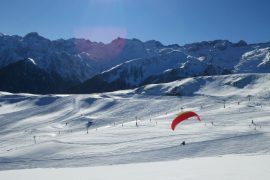 At the end of the day you will again be transferred back down the valley for a night at the gite. 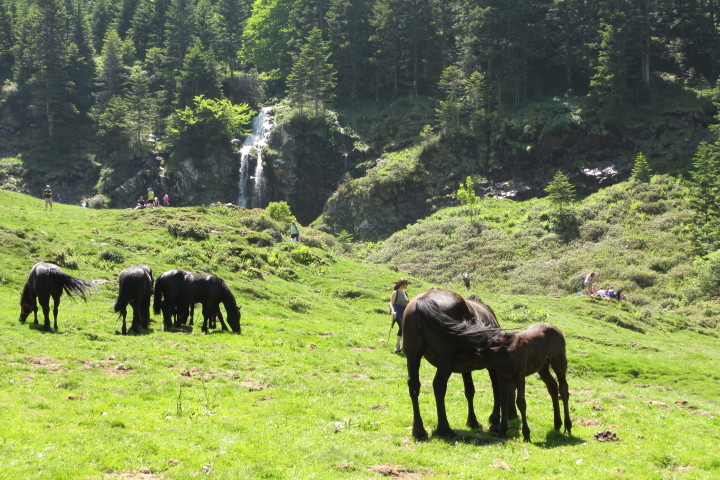 Leaving the herds behind in their summer pastures, you’ll continue your trek via the GR10 to the col de la Core at 1500m alt with its far-reaching views of the unspoilt Couserans landscape. 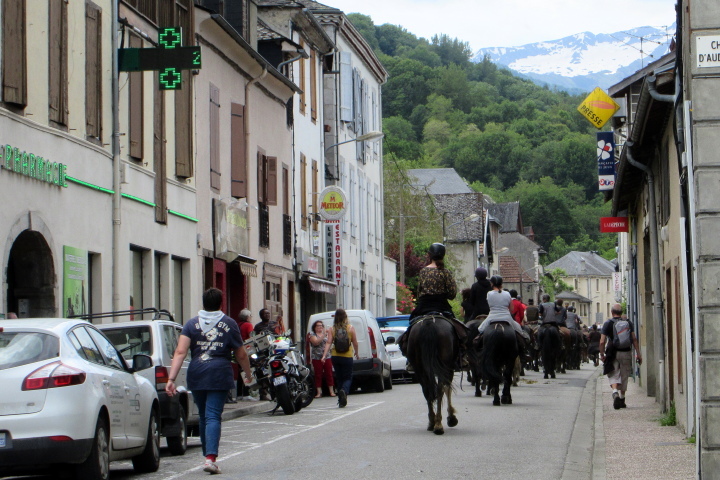 Then it’s down to the charming village of Seix where your mounts will spend the night whilst you are transferred to your accommodation for the night. 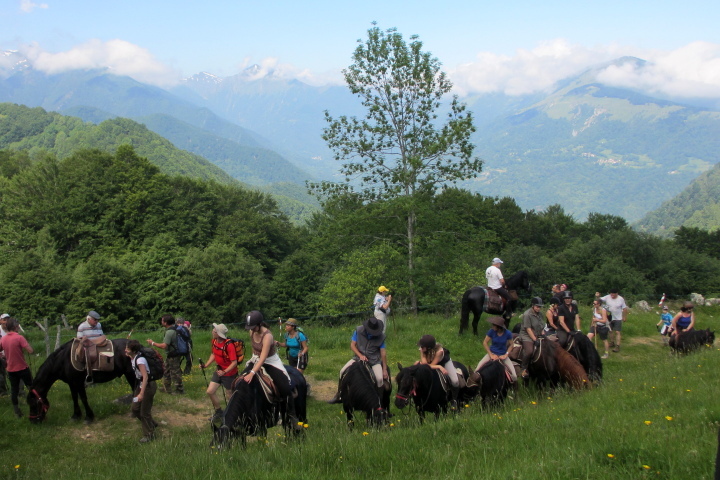 From the horses’ overnight camp overlooking Seix you will return to the farm via picturesque paths and tracks through quaint villages and shady woodland, drinking in the spectacular views of the Ariege mountains that border Spain as you ride. At the end of your trekking adventure you’ll be tired but content, looking forward no doubt to a good evening meal and a sound night’s sleep before your departure in the morning.